Normally when Downtown Kingston is mentioned a few things come to the mind of most Jamaicans: no parking, cheap items, Coronation Market, unsafe environment, derelict buildings to name a few. But little would think of finding fine dining in a relaxing ambiance that gives the feel of dining in contemporary New York City restaurant. 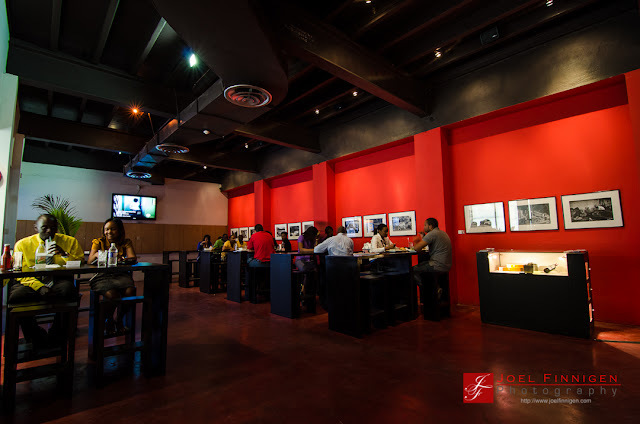 F&B DownTown has done just that, brought a wonderful dining experience to the heart of Downtown Kingston. Why would I say that?